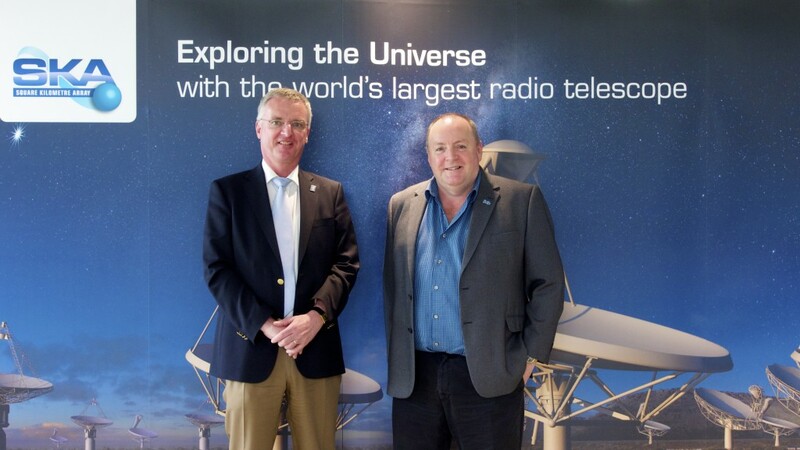 On Thursday 15th of May, the Director General of ESO, Prof. Tim de Zeeuw, visited the headquarters of the SKA Organisation located at Jodrell Bank Observatory in the UK. ESO, the European Southern Observatory, builds and operates a suite of some of the world’s most advanced ground-based astronomical telescopes. Prof. Tim de Zeeuw was received by the Director General of the SKA Organisation, Prof. Philip Diamond, and after a tour of the facilities was introduced to the staff of the SKA Organisation. After discussions on the future of big astronomy facilities such as ESO’s E-ELT and the SKA, Prof. de Zeeuw then headed to the Jodrell Bank Centre for Astrophysics in Manchester to give a seminar on ESO.